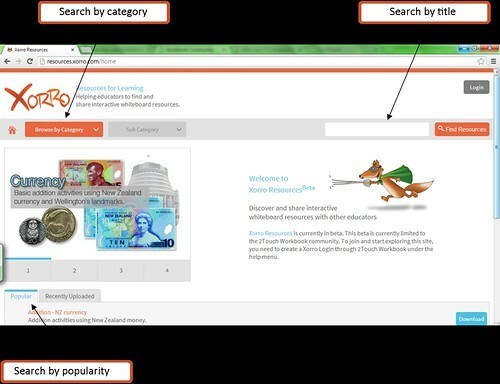 The Workbook Resources website is the first step in creation of an online community for not just Workbook and Xorro users but eventually users of a variety of IWB/presentation software to share resources. 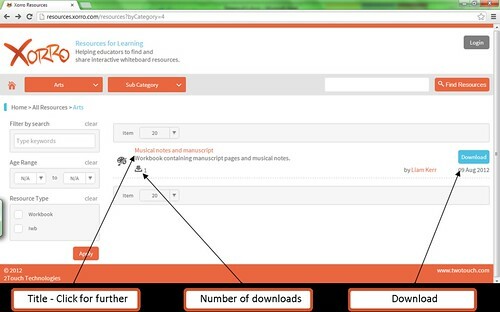 The resources website is free for you to use and provides for easy downloading and uploading of files. Joining the Workbook community is simple. The first thing you need to do is make sure that you have version 1.8 or higher of 2Touch Workbook (download here). To check your current version open up Workbook, select the ‘Help’ drop down menu and click on ‘check for up dates’. This will display the current version of Workbook you’re using and the latest version available. If you’re Workbook is not up to date then the menu will provide you with a link to where you can download the latest version. Once you have the latest version of Workbook installed head to the ‘Help’ drop down menu within Workbook and select ‘Workbook community’. You’ll then be prompted by a pop up window to enter in your details along with a user name and password for your community account. Once completed you’re new user account will become active. You can search for workbook files via a specific title or key word, or via subject category. Once you’ve found a file you can download it using the ‘download’ button or view further information about the file by clicking on the title. The easy way to share a workbook document with the community is through Workbook itself. Most people will have the sharing feature turned on, this means that every time you save your document you’ll be asked if you want to share it with the community. You can also share the document by heading to the ‘file’ drop down menu in Workbook and select ‘share’ (you maybe asked to save the file before sharing if it hasn’t been saved before). 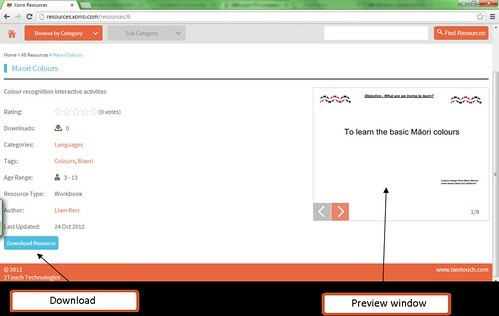 An information screen will then appear and ask you for various details regarding the workbook and its categorisation. Once you’ve filled it out select ‘create resource’ and you’re workbook will go live on the community.